Grown without reliance on artificial chemicals and fertilisers. 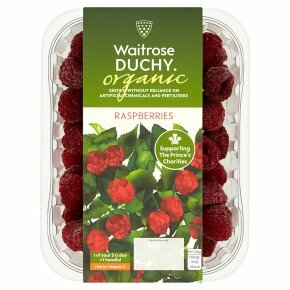 Juicy organic raspberries, grown by specially selected farmers with a commitment to quality. Delicious with a spoonful of cream or stirred into yoghurt.